Internal Medicine Associates is a medical practice with four locations covering a wide geographic area in Lee County, Fla. It has more than 50 doctors and specialists, a walk-in EZ Care Clinic, and offers services such as labs, radiology and various therapies. In 2011, IMA asked the Agency for help. While the practice was advertising heavily, there was no corresponding increase in patient load in terms of the amount of money that was being spent to attract new patients, nor was there a sense of a “campaign.” Both of which in turn would attract more doctors. The goal was to become a leading source of preventative healthcare services for adults in the target area while building the overarching brand. 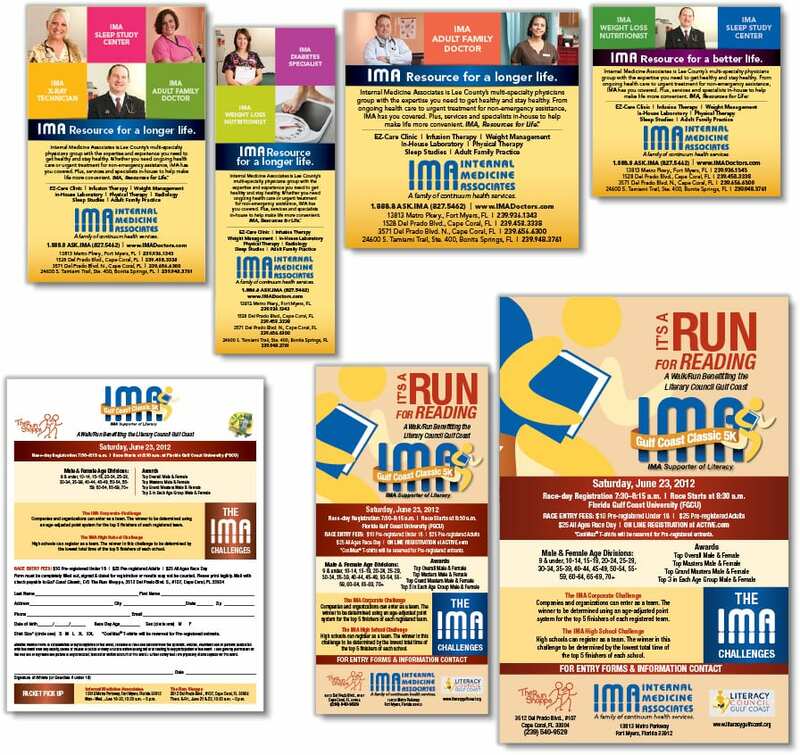 The Agency reviewed IMA’s advertising plan and determined a new strategy was needed. The solution was a three-pronged approach: First, the way media was being purchased was not the most effective. The more concise way was to purchase media quarterly versus the annual contracts that were in place. This would allow for better negotiation and flexibility in the total buy. Secondly, the Agency devised a new campaign creative whereby we worked the name of the company into the headlines. 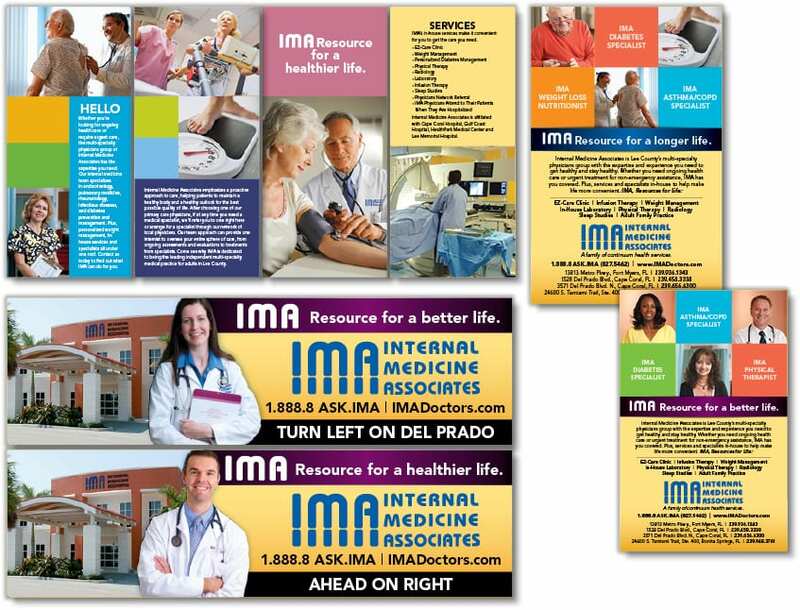 The marketing pieces used actual staffers saying “I-M-A” and then their title or service, making the practice more personal and also making “IMA” a more memorable phrase. The campaign worked in print, in outdoor spaces, on TV and online. Lastly, we created a mini pocket folder to organize all their stand-alone inserts. This made a great piece to cross-market to current patients who did not know about the ancillary services IMA offered, all under one roof. Patient-load increased 16 percent year-over-year, and more doctors with some very impressive credentials came on board to bolster their physicians’ list. 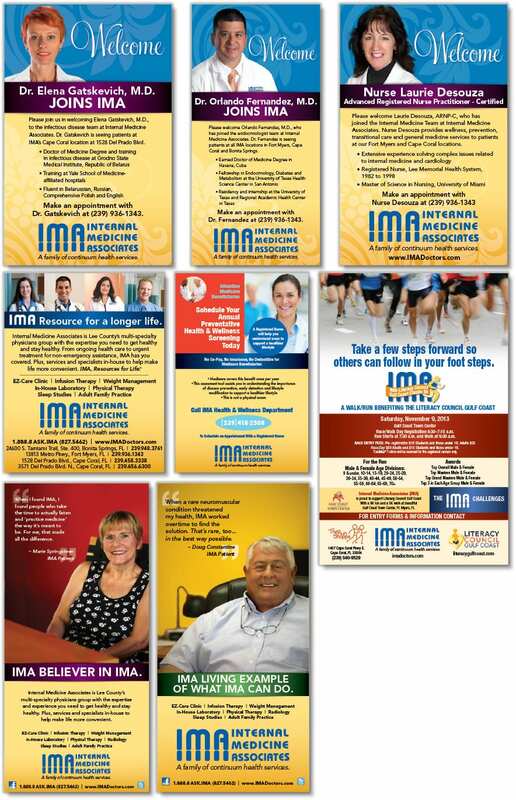 It got to a point that some time in 2012 IMA had to briefly suspend its advertising because of the high response rate. As of this writing at the end of 2013, Internal Medicine Associates enjoys a solid reputation as a medical practice dedicated to helping people to be more proactive with their health choices and lifestyle.